As well as a multiplicity of luxury hotels which surely rank amongst the world’s best for the “wow” factor, Dubai also has plenty for the traveller to get out and do while staying there. Just what you can do depends, of course, on the length of your stay, so I’ll try, in this piece following, to give you a range of options. Some of these can be accomplished at the rate of two or even three in a single day; others are a full day in themselves, but they’ll give you a traveller’s tale or two that go a bit beyond the “went to Dubai/shopping malls/highest building in the world” mantra that so many stopovers end up being. I’ll give realistic time-frames for these excursions, so that mixing and matching according to your preferences, stamina and length of stay is possible. Think of it as a trackless rollercoaster – over several square kilometers of sand. It’s pretty thrilling, if you have the stomach for it – and safe. To the best of my knowledge, there have been no fatalities amongst the many thousands of customers who have opted to try this side of the Dubai experience in all the time There are many companies that offer roughly the same deal: pick up and delivery from your hotel or any other pre-arranged point that is more convenient for you; delivery to the meeting point, usually in the Al Awir area of Dubai, transfer to a robust SUV, almost certainly the ubiquitous and robust Toyota Landcruiser, then a wild helter-skelter, topsy-turvy drive up, along the side of and down the far side of sand dunes. This will last about 45 minutes, before you are taken to a desert Bedouin camp, where, amongst other attractions and demonstrations, you will get, after the sun has gone down, a delicious barbecue meal. My personal experience has been with the Arabian Adventures company; there are many others all offering more or less the same experience. Sometimes, you can combine two, or even three different excursion packages over one or two days for a very attractively discounted price. Arabian Adventures website makes it clear what, where, when and how much. What I have described above is their Sundowner Experience, which will last about 6 hours, from 3.00pm until 9.00pm. 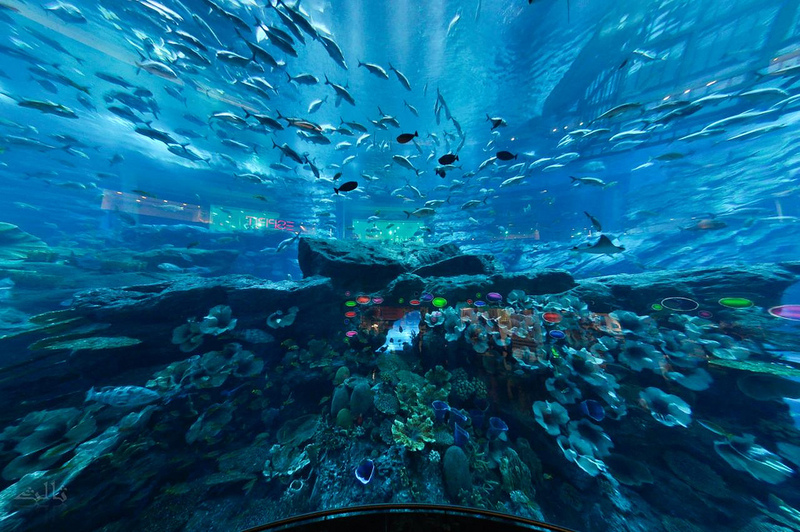 Dubai Mall – why would you ever go anywhere else? It is the biggest mall in the world by square meterage, but not by number of shops: that distinction is shared by two malls in China, but Dubai Mall, nestled beneath the world’s tallest building, the Burj Khalifa is surely glitzier, more spacious and opulent than it’s eastern rivals. For a start, it is so much more than just a place to buy things. Pride of place probably goes to the indoor central aquarium: you can gaze at the inhabitants for free through the “front window” in the Mall’s central atrium, or pay a surprisingly modest entrance fee to go inside and ascend the three levels from the bottom to top, getting very up close and personal with some members of the deep sea you’d probably rather not meet in open water. Or for the adventurous, you can hire the scuba kit, take a starter’s lesson if you need it and get right on in there. Dubai Mall is, of course, about shopping and it’s all there, from the world’s richest and most expensive retailers to the perfectly ordinary everyday sellers of merchandise for the rest of us. The advantage for everyone, of course, is that Dubai has no tax, so prices are likely to be advantageous to visitors, especially from European countries. How long can you stay there? Depends on your stamina: as I get older, there are certain times I avoid but I am usually good for 2-3 hours before mall fatigue sets in. You younger folk reading this can probably manage 2 or even 3 times as much and you still will not have seen everything. If you have specific items or products that you are looking for, a little research before arriving might save you a lot of walking. Dubai Mall’s website is very comprehensive and even gives a link to a Smartphone app which acts as a Mall Guide. There are also Information Booths with maps and personal help at many different locations in the Mall. Wear it, watch it, eat it, see it, read it and many more – you do them all and more here. Dubai is rightly proud of its state of the art Metro system which opened for business almost 5 years ago in 2009. Most of it is above ground and as such is a great way to see, very cheaply and without risk of traffic jams and the like, a great deal of Dubai, which is, for the most part, a long, quite thin city. There are two lines, the Red and the Green and they intersect at two points near the centre of Old Dubai, so you can change between the lines at these stations. Of these, the Red Line is the longest, at nearly 53 kilometers and it runs from Dubai International Airport to Jebel Ali Port. In addition to having stations at both Terminals 1 and 3 at the airport, the Red Line also takes in many of the desirable shopping destinations, with stations serving, for example, Deira City Center, Dubai Mall, The Mall of the Emirates and Ibn Battuta Mall. 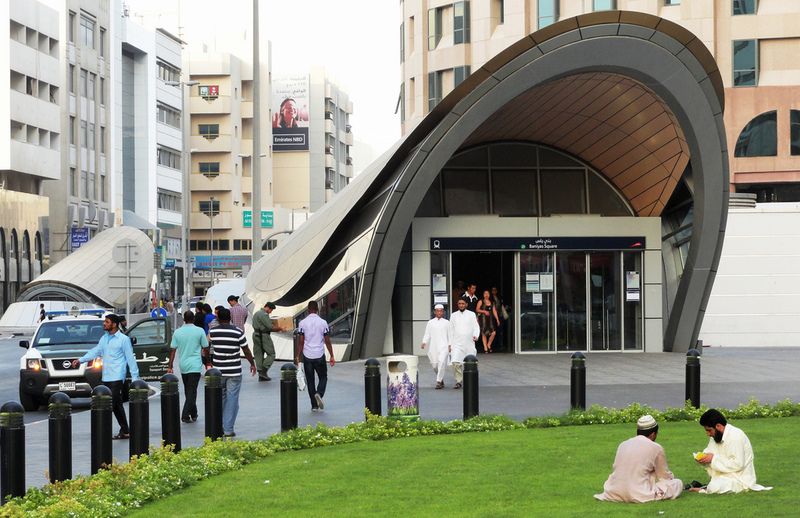 The Green line offers access points to many of the more colorful and less-changed areas of Deira and Bur Dubai. And what does it cost? A single ride from Rashidiya, the first station on the Red Line to Jebel Ali, currently the last, costs just AED 6.50: not even $US2.00. Even better for the casual visitor or tourist, you can purchase at any Metro Station ticket office a One Day Pass for just AED 14 ($US3.80) which allows you to hop on and off at will during the operational hours of the Metro on the day of purchase. But is it safe? Yes, and very clean. CCTV monitors the cars for any “improper” behavior in each car and there are Dubai Police on duty at each station ready to pounce if anything untoward is either seen or reported. For residents on the outer areas of Dubai, the Metro is a cheap and very efficient means of point-to-point transport, but for the visitor or tourist, especially if you like train-rides, it’s a really great way to see a lot and get a “feel” for this very unique city. Actually, you can. One of the “add-on” attractions of the Desert Safaris mentioned above is sand skiing, but that’s not what I am referring to here. 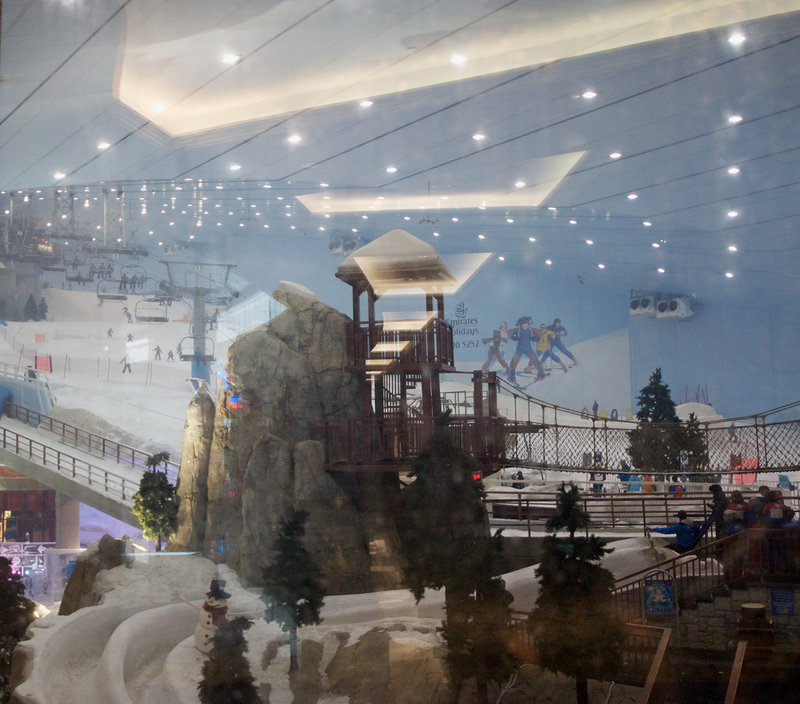 Most people who come to Dubai are aware that there is Mall with an indoor ski-slope. That’s right: when it is 50°C outside in July, you can be on a slope, all wrapped up in hired cold weather gear, with hired skis and a surrounding temperature of -2°C. The location of this architectural paradox (sunny pleasure dome/cave of ice) is The Mall of the Emirates on Sheikh Zayed Road. (Now that you know all about the Metro, from the previous section, the station you want is Mall of the Emirates, on the Red Line.) The Mall itself is a pretty mind-blowing place, but Ski Dubai is what you want once you are in the Mall. Like all Dubai’s Malls, the signage to key places is very good, but if you still get lost or disorientated, there are plenty of helpful people at Information Booths to help you. Once you’ve located Ski Dubai, you’ll see that on the ground floor, there’s a huge picture window (not unlike Dubai Mall’s Aquarium), which allows you to have a free, look at all the goings on inside. Fairly soon, you’ll see that there are two main areas: the ski slope itself and a smaller area of artificial snow where people who have never experienced snow and cold weather other than via movies and television can go and discover what it is like. Have you been up close and personal with penguins – they are the latest addition to what used to be called the Snow Park, but now is dubbed the Penguin Encounter. But what is the Ski Slope actually like? Actually, for the beginner, it’s great and for the intermediate skier, not too bad either. Above that…well…if you have to have your fix of the cold icy stuff, it’s better than nothing but it isn’t the Val d’ Isère or Closters. On the other hand, if you have children, it’s a great introduction and you can book lessons with competent and properly qualified instructors. Read more about what else you can do and what it costs on the Ski Dubai page of the Mall of the Emirates website here. One good way to beat the heat and enjoy the thrills of deep-sea fishing is to charter a boat for a day out on the Gulf. A word of caution – this isn’t exactly a cheap option if there’s only one of you, because pretty much all the companies which offer this service charge for the boat, the equipment and the time. The costs typically run from $US 500 for a half day (4 hours, either morning or afternoon) up to $1000 for a full day – that’s going to be 10 hours or maybe even more, starting in the early morning. If 4 hours isn’t enough but 10 way too much, most of the companies will allow you to customize the length of the trip with additional charges of around $US 150 for each additional 2 hour segment over the initial 4 hours. Like I said, not exactly cheap, whichever option you choose, but the good news is that the price doesn’t change for each additional person up to a usual maximum of 6. To be clear – a full day will cost one person $US1000, but it will still only cost $US 1000 if a group of 6 friends club together and take the trip. You are paying for the boat and the time regardless of whether there is just one of you or a group of up to 6. So what are you likely to catch? Well, it would be a brave company anywhere in the world that guaranteed you an Ernest Hemmingway-sized marlin just for signing up for their trip, rather than the competition’s. But rest assured, these guys are in business for the long haul. They know where there is a very good likelihood of your catching something you can brag to your buddies about, or pose for a great Facebook pic. Their business depends on your having a good time and telling people about it. There are a number of companies in Dubai that offer this kind of excursion. Ocean Adventures (see website here) is a good example and clearly lists costs, times, gives information about boats and safety and offers a photo gallery of the kinds of catches that satisfied customers have taken on previous outings. You’ll need your passport for this one, but it’ll give you some serious street credibility when it comes to telling friends and showing photos of your Dubai holiday experience. 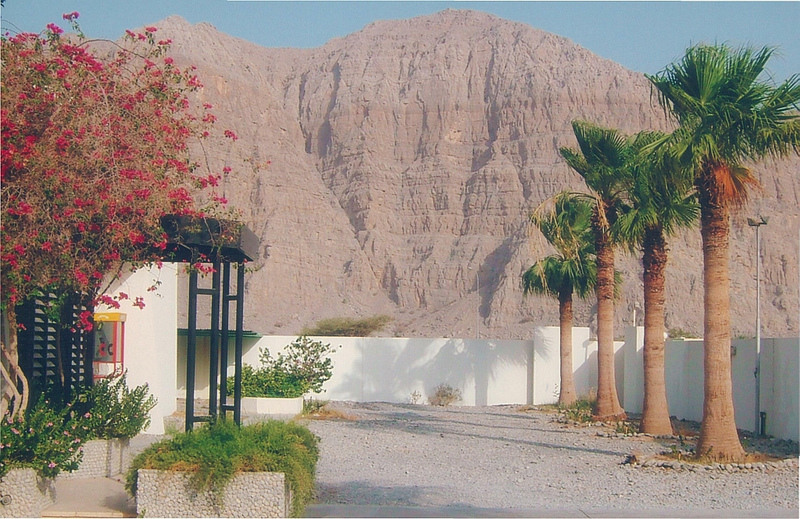 The Musandam Peninsula is part of the Sultanate of Oman – which is not part of the UAE, hence the need for the passport when you cross the border. 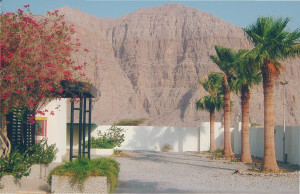 There are a number of companies which offer Dubai visitos the chance of trips into parts of Oman. Most of these require more than a day and preferably at least 3 if you really want to get a sense of what Oman is about, but the Musandam is the exception. It’s perfectly doable in a day, but it will be a long day – expect to be picked up from your hotel at around 6.00am and you will not be back until after 7.00pm, maybe even later. So what will you get? First a look, rather brief, to be sure, at some of the less well known northern Emirates of the UAE, such as Sharjah, the outskirts of Ajman, Umm Al Quwain and a somewhat better look at the most northerly Emirate, Ras Al Khaimah as you pass through on your way to the border post. 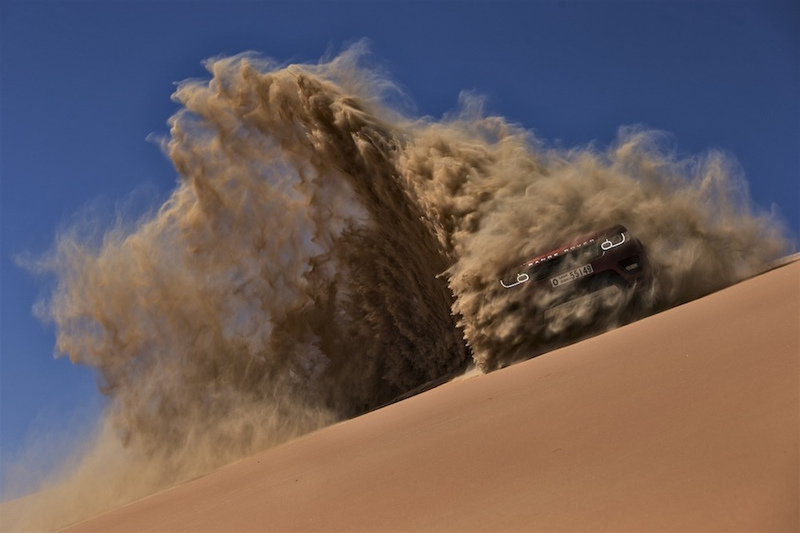 Next you’ll get a rather spectacular ride along the coastline of the peninsula, on your way to the Omani town of Khasab, a port village which does an interesting line of business with Iran, just across the Gulf. 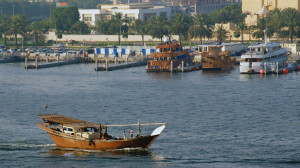 Between 9.00 and 9.30, you’ll transfer to a traditional Arabian dhow for a cruise through what the Omanis refer to as the “fiord coast”. While not quite as spectacular as real European or New Zealand fiords, nonetheless, it’s pretty good after the rather flat and featureless sands of the west coast of the UAE. 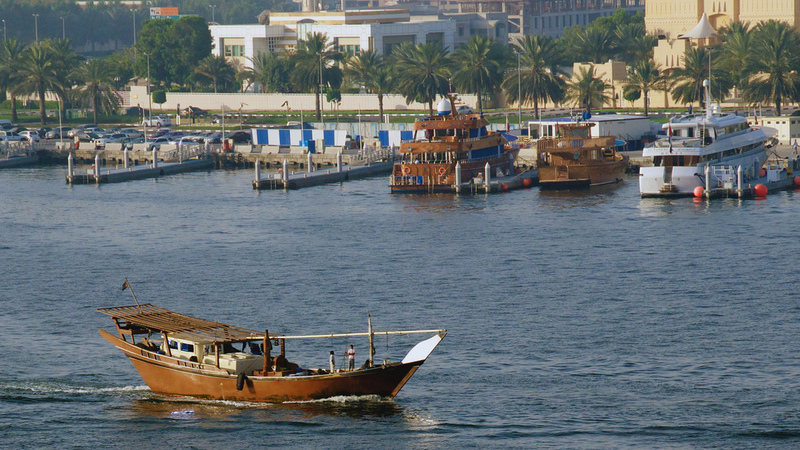 You’re bound to see dolphins, you can swim safely, you get a great meal served to you on the dhow and you’ll be back in Khasab port by around 4.00pm, for the trip back to Dubai. I’ve done this one myself and I like Oman and the Omanis: the atmosphere is very different to Dubai. Read more about it here – (you’ll need to click the Musandam-Dibba and Khasab tab under the company logo) – this is not the only company offering a taste of Oman, but it gives a good idea of the things you will see and do and the costs. 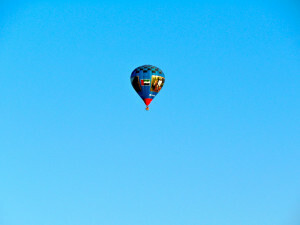 Another great way to really see the countryside and beat the heat, but perhaps not for the faint-hearted or nervous. The main company offering this experience, Balloon Adventures AE, takes safety very seriously and the Aviation Authority of the UAE has very exacting regulations governing balloon flights and safety in place. The website link above has all the details of costs and times, pick-ups and deliveries back to Dubai that you are likely to need. There is also a great selection of photographs taken from the balloons to help you decide whether this activity is for you. For the more sedate: High tea at the Burj Al Arab or a spa experience at any of the five-star hotels. If you are not staying at a beach hotel, you can pay by the day to have access to a five-star hotel beach. It is expensive but cheaper than spending a week at the hotel with your family. There are beautifully landscaped public beaches and parks if the weather is right. There is something for everyone in Dubai.